If you are looking for personal injury solicitors in Dublin then you may have, unfortunately, suffered a personal injury in your employment or in a road traffic accident. A personal injuries solicitor can help you with your claim but it may be helpful to understand what the procedure is. 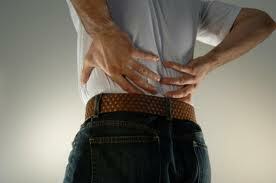 The Injuries Board will assess your injuries and put a monetary amount of compensation on the inury suffered. It is worth noting that the Injuries Board do not assess liability so even if the respondent, the person who you hold responsible for your injuries, agrees to the assessment procedure this is not an admission of liability on their behalf. Your personal injuries solicitor will submit the claim form (Form A) together with a set fee of €50 and a medical report to the Injuries Board on your behalf. You have two years from the time of the accident to submit your claim. Once your claim is deemed to be in order the Injuries Board will contact the Respondent and ask them if they agree to your claim being assessed. If the respondent agrees to this the Injuries Board will carry out the assessment (you may be sent for a medical examination by an Injuries Board approved doctor). The assessment comprises special and general damages, that is to say an amount for the actual expenses you have incurred as a result of the injury and general damages for your injuries. Special damages include loss of earnings, hospital expenses and expenses paid for physiotherapy and so forth. If the respondent does not agree then the Injuries Board will issue an Authorisation which allows you to prosecute your claim through the Courts which your personal injuries solicitor will do on your behalf by issuing a Personal Injuries Summons. Once the assessment is made the respondent and you can accept this quantum/amount as fair or not. If both of you agree then the Injuries Board will issue an Order to Pay which has the same effect as a Court Order. If either of you reject the assessment the Injuries Board will issue an Authorisation in which case a Personal Injuries Summons will be issued by your solicitor. Personal injuries litigation can be expensive to pursue so it is important to discuss your case with your solicitor at the outset who can advise you on the strength of your case or otherwise. If you are looking for personal injuries solicitors in Dublin we would be happy to help you. Do note that it is possible for you to pursue your claim through the Injuries Board without a solicitor by submitting Form A, Form B (the medical form) and the fee of €50. However if an Authorisation issues from the Injuries Board you would be well advised to consult a solicitor.